Catching, well, that takes a bit of work. 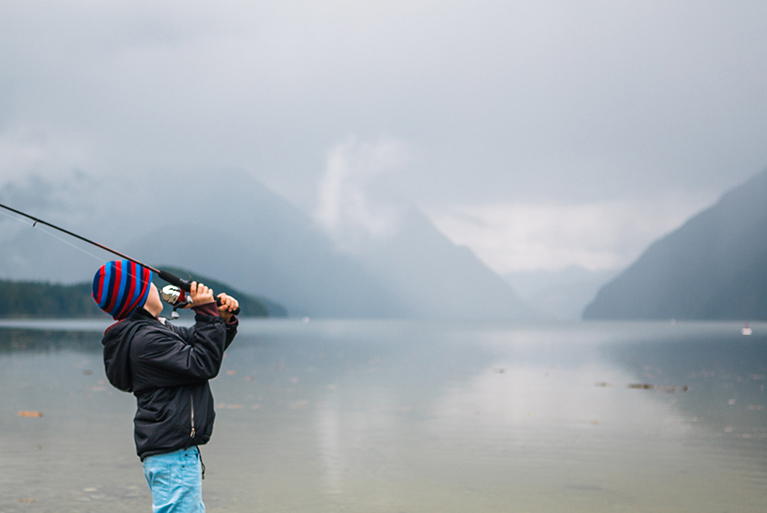 If you are 16 years of age or older you must have a valid basic freshwater ﬁshing licence to ﬁsh recreationally in non-tidal waters in B.C. You must also purchase the appropriate supplementary licences and stamps. If you are under 16 and a resident of B.C., you may sport ﬁsh without any licence or stamp but must still abide by the regulations. You can purchase your non-tidal/freshwater ﬁshing licence online through the government of B.C.’s website or in person from a participating vendor. For information on angling licences and fees, visit the provincial government’s Fish and Wildlife Branch website. Please note, if you’re going to ﬁsh in tidal waters, you will need to purchase your tidal waters sport ﬁshing licence through the Fisheries and Oceans Canada website. 100% of freshwater ﬁshing licence fees go toward making ﬁshing even better. Under an agreement signed between the Province and the Freshwater Fisheries Society of BC in 2015, 100% of the revenue generated from ﬁshing licences directly beneﬁts recreational ﬁsheries. That’s right, every penny goes into research, conservation and education programs, improving angler access and our stocking program. The Habitat Conservation Trust Foundation receives 100% of the surcharge revenue collected from angling licence sales to provide grants for ﬁsh conservation projects. Be sure to read and understand the Freshwater Fishing Regulations before you go ﬁshing. You can download and print speciﬁc regions from the synopsis or obtain a hard copy from a licence vendor. To download the 2019-2021 Freshwater Fishing Regulations Synopsis (Complete Edition) click here, or for the Provincial Regulations only, click here. Visit the Fisheries and Oceans Canada website for more information on salmon regulations. A half-day and you’ll be hooked. 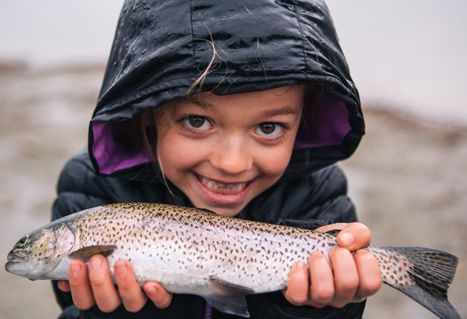 An introductory program appropriate for kids 5-15 and their families, this half-day course will teach you the basics of how, when and where to catch fish in fresh water. Each year, about 25,000 people across the province participate in this program. Based at our Visitor Centres in Abbotsford and Fort Steele (near Cranbrook), lessons are held at lakes in municipal and provincial parks throughout the Lower Mainland, southern Vancouver Island, Kootenays and Thompson-Okanagan. Visit the Events calendar to find a program near you. An adapted version of the course is also available for families or organized groups of all ages. Please email fish@gofishbc.com to organize a group booking. We also offer fishing birthday parties and educational programs. Financial support is provided by the Habitat Conservation Trust Foundation, Columbia Basin Trust, Luhr Jensen, Ram Trucks, Yamaha Motor Canada, Teck Highland Valley Copper and the Province of British Columbia. You can also read our popular Learn to Fish Guide. Sign up for our newsletter and stay up-to-date on research, events and seasonal fishing opportunities. Copyright © 2003 - 2019, Freshwater Fisheries Society of BC. All Rights Reserved.